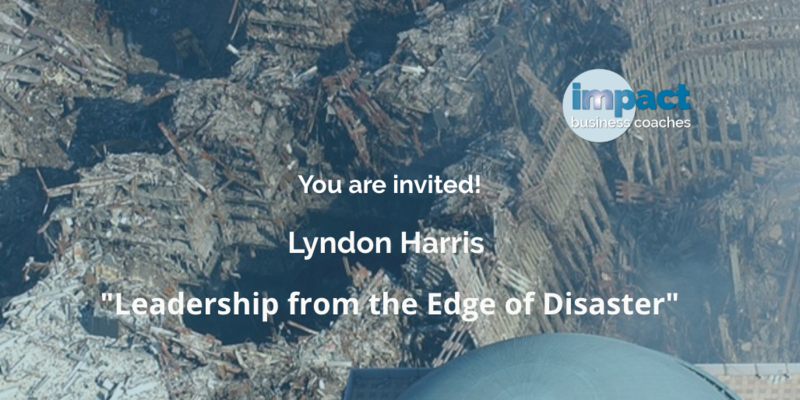 Lyndon Harris is a forgiveness coach and motivational speaker. His journey to forgiveness began on Sept. 11, 2001. As the priest at St. Paul’s Chapel located directly across the street from the World Trade Center, he initiated a rescue mission to serve the needs of the first responders. Harris’ work has been covered by many news organizations including the NY Times, The Wall Street Journal, The Washington Post, CBS News, NBC News, CNN, Time Magazine, The Christian Science Monitor, Germany’s Die Zeit, and others. Harris’ work on a Garden of Forgiveness for Ground Zero in NYC has been featured in the award-winning documentary, “The Power of Forgiveness” (Journey Films: 2006). Impact Business Coaches will cover the cost of admission. Register now or by October 31, 2018! Seats are limited. Please provide your name and email address to R.S.V.P for the event. Each person attending will need to register separately.